Rating it poor only for gardeners in warm areas. I purchased these watering kits to help reduce the time I spend watering containers. I bought them from Gardeners' Supply, a vendor I adore. Got 3 gallon size for large pots and 2 quart size for medium pots. I immediately came to the realization I don't need a gizmo to remind me I must water daily, sometimes twice daily. 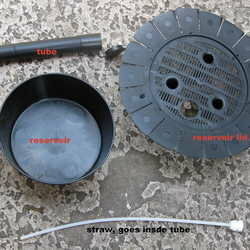 It is more trouble to fill the reservoir and monitor the moisture straw, than to just water the dang plants. In fairness to GS, they recommend the use of a special potting mix to be used w/ these reservoirs, but if I were to buy "dirt" by mail, my husband would most certainly divorce me, lol. I imagine northern gardeners can benefit from these kits but I wouldn't recommend them to my southern gardener friends. 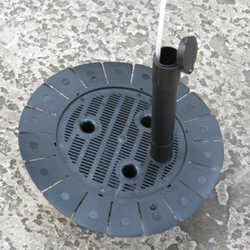 Finally, please keep in mind these are not meant to eliminate watering chores, only reduce the frequency. I installed 2 of the gallon kits and returned 1 gallon kit and the two quart kits to GS. Had it not been such a hassle to get them out, I would have returned the ones I used.